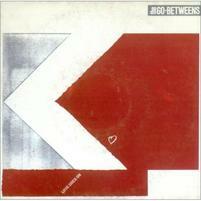 1988 saw the release of The Go-Betweens album 16 Lovers Lane, and with it their first commercially successful US single. I enjoy this album for all its polish as much as I enjoy the others for being so rough around the edges — all the while jam packed with luscious male/female harmonies, catchy melodies, hard-strumming acoustic guitars, and ten gorgeous songs about love. A culmination of sorts — the kind that typically marks a band's final musical statement. 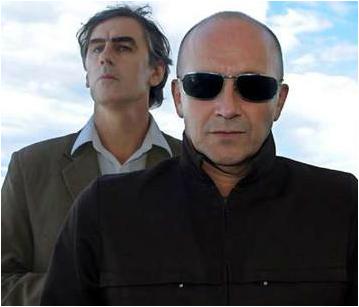 And so it seemed with The Go-Betweens who followed the release of 16 Lovers Lane with a 12- year hiatus during which both McLennan and Forster released a fine string of solo albums, and then… a reunion. Of sorts. The story concludes tomorrow. 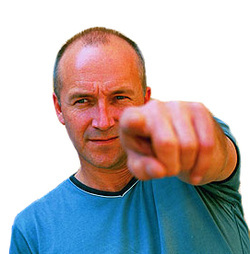 Until then, the Happy Medium Song of the Day is “Love Goes On!” — a Grant McLennan penned song from The Go-Betweens sixth album, 16 Lovers Lane.